Windows button allows you to quickly open any program from the start menu. Also, there are a lot of shortcut keys associated with the windows button so it is crucial for any computer that Windows key always works properly. For some unknown reasons, if your windows key stop working, you will find it very difficult to do simple things like opening start menu, shuttings down, settings, launch programs etc. The issue either can be with windows key or the start menu. You can easily check that if it is start menu problem by clicking it through the mouse. If start menu is working then issue is with your windows button. 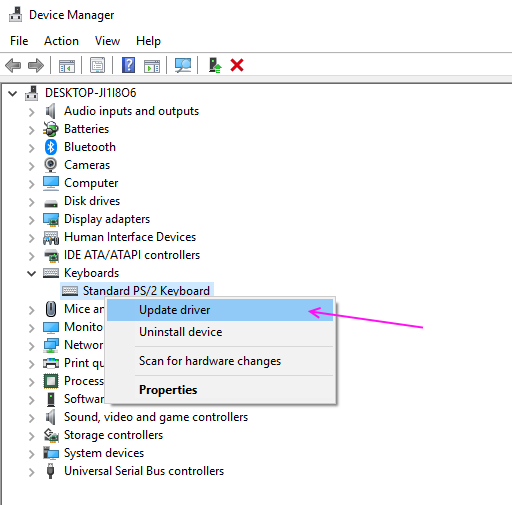 If you are using an external keyboard for your PC, then you might want to check that button is actually working or not. You can connect that keyboard on any other computer and check that Windows key is working or not. If Windows key did not work then it is your keyboard fault and you have to either repair it or replace it. Windows Registry keeps the records of the function of all the keys. If data for the Windows key is deleted or modified then also Windows key will stop working. You can easily fix this error by correcting the key data in the registry. Follow this process to do the same. Note: Unnecessarily modifying registry can lead to serious problems so only change those files which are shown down below and do not edit any other file. STEP 1 – Press CTRL, Shift and Esc, It will open Task Manager Window. 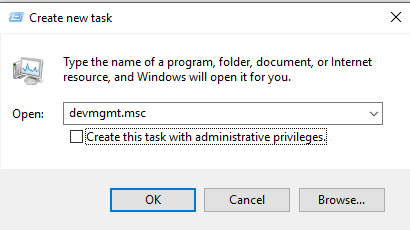 In the Task manager select run new task from the file menu. STEP 2 – Type regedit and press Enter. STEP 3 – On the left pane you will see five folders. Go to HKEY_LOCAL_ MACHINE > System > CurrentControlSet > Control. See below image for reference. 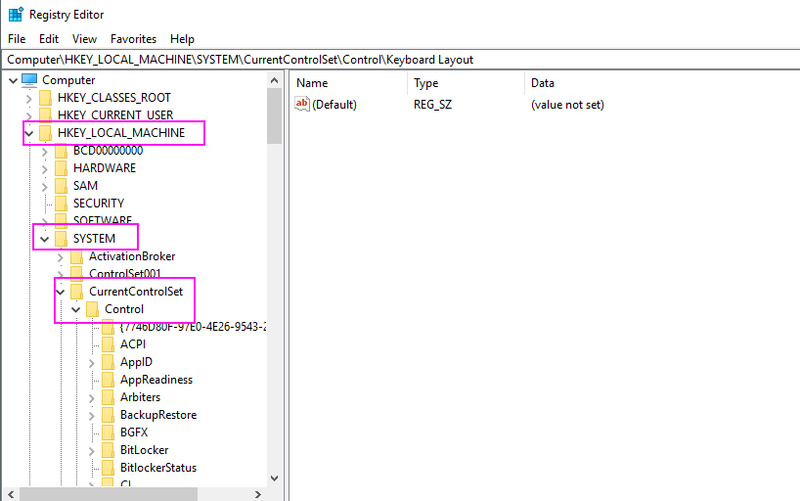 STEP 4 – In the control folder, select Keyboard Layout folder. In the right pane, you will see Scancode Map file now, right click on it and select Delete ( If you cannot find Scancode map file then this method will not work for you, move on to the next method). STEP 5 – Reboot your computer.check that Windows key is working or not. This issue can also be due to outdated or faulty keyboard drivers. Updating the keyboard driver can solve this problem. Follow these steps to update your Keyboard drivers. STEP 1 – Press CTRL, Alt and Delete together and select the Task Manager option. In the Task Manager, select run new task from the file menu. STEP 2 – Type devmgmt.msc into the text box and hit Enter. It will open the Device Manager. STEP 3 – Locate your Keyboard in the Devices list. Right Click on it and select Update driver. STEP 4 – Choose search automatically for the updated driver, it will look for your driver on the internet and show it to you. 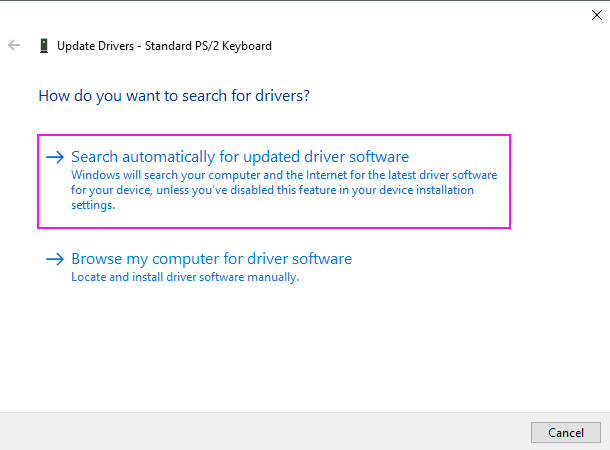 STEP 5 – Download and install the driver update. This is the simplest method for start menu not working, If your start menu disappears often you can log out as a user and again log in. It will restore the start menu for you. STEP 1 – Press Ctrl + Alt + Delete together and choose sign out from the options. STEP 2 – Click on your User and Type your password and login again. Check now start menu appeared or not. 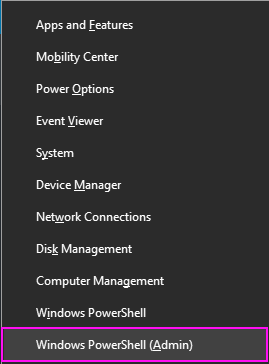 If this issue is user specific on your computer you can easily create a new user and then transport all of your settings there so you don’t have to face start menu problem. STEP 1 – Press Windows and X at the same time and choose the Windows Powershell (admin) option. It will open a Powershell window. STEP 2 – In the PowerShell window, type the following code and press Enter. Choose username and password of your choice. STEP 3 – Reboot your PC and log in with new user credentials. Your Start button will start working now. Change this local account into Microsoft account so your settings will be applied here. 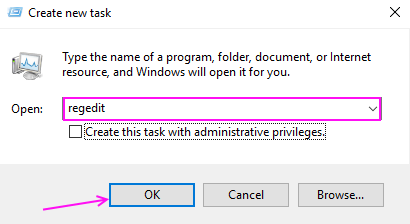 It might look effective but many users have tried this method and get their start menu back on their computer. 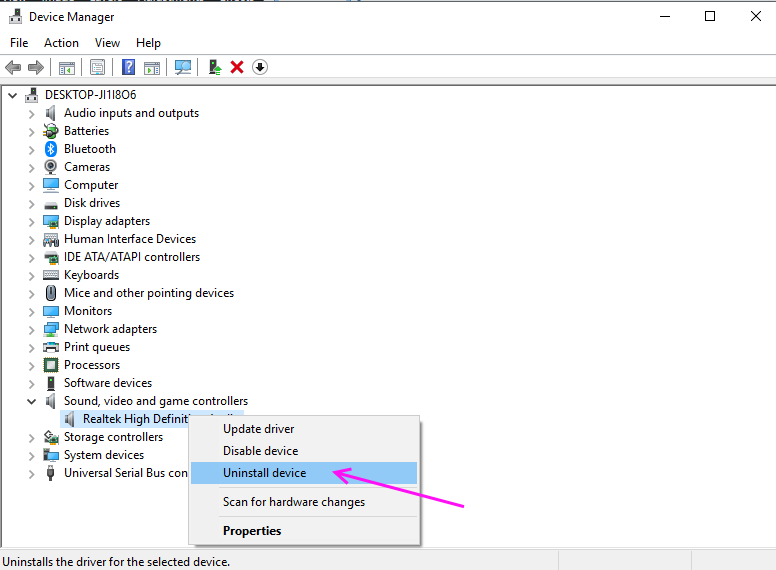 You have to reinstall or update the existing drivers in your device manager. 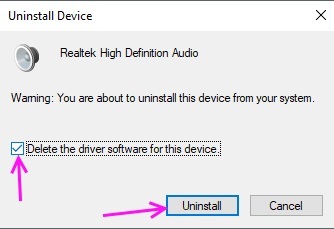 STEP 3 – Expand Sound, video and game controllers, locate your audio device and select Uninstall Device from the right-click menu. STEP 3 – Click Uninstall to confirm. 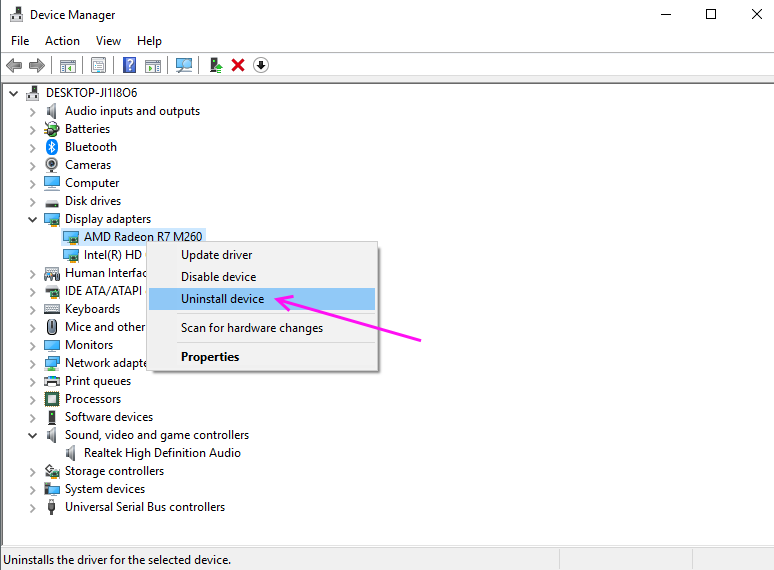 STEP 4 – Expand Display adapters, locate your video card driver and Uninstall Device from the right-click menu. 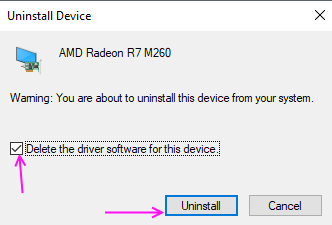 STEP 5 – Click Uninstall to confirm. Reboot your computer, Windows will automatically install drivers again and it should solve your problem. If the issue is still happening you have to update the drivers.